← What to do with the pumpkin? I’m not much of a baker. In fact I’m a bit rubbish. Despite following recipes to the letter not much I’ve baked (with a handful of exceptions) has ever really turned out spectacularly. Edible, yes, but average. My mum makes beautiful cakes and my sister can knock up a mean pastry from scratch but I find the whole thing frustratingly troublesome. 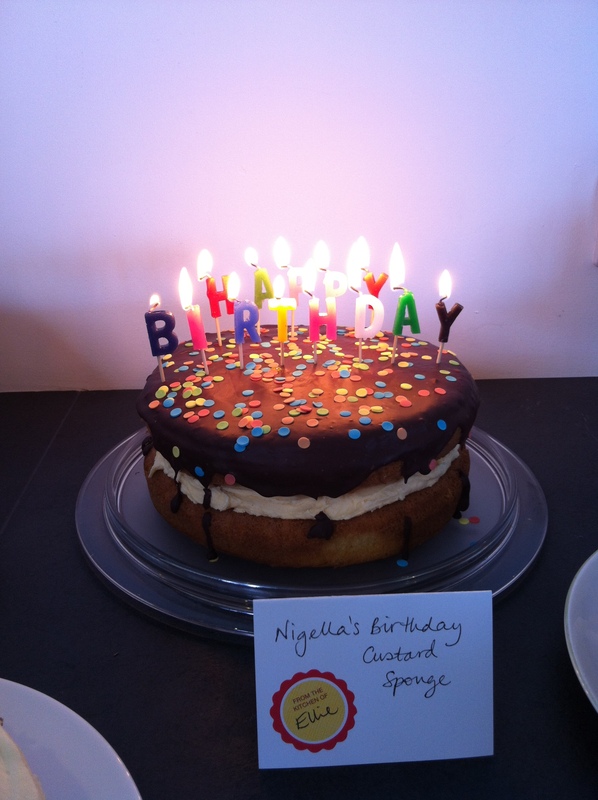 I love the end results of my more credible baking friends endeavours though. I love the magic that happens when butter and flour come together; either with eggs and sugar for a cake, or salt resulting in pastry, one of my favourite things. As a kid there was always a home-made cake stashed in an old biscuit tin on top of the kitchen cupboards which meant we had to climb onto the worktop to get to it, so at least we got a little excercise before devouring all that sugar! Mum made a fantastic iced toffee and walnut cake, supersweet cute little butterfly cakes – their wings created by cutting off the peaky centre of each cupcake and plunging two ‘wings’ into a pile of yellow buttercream, gorgeous chewy flapjacks sticky with golden syrup, and one of my personal favourites; a shortcake ring, studded with glace cherries and chocolate chips and drizzled with white icing that dripped down into the hole like snowy raindrops. And later, when I was fifteen, my parents bought a coffee shop and we moved in upstairs. From there on in life was filled with the scent of baking and Mum became famous (in Thame, at least) for her caramel shortbread and chocolate mint slice. It’s no wonder I was a chubster! But despite all this I’m a savoury, stove-top cook at heart, although I dabble in bread and pickling, but still, cakes are out of my comfort zone. 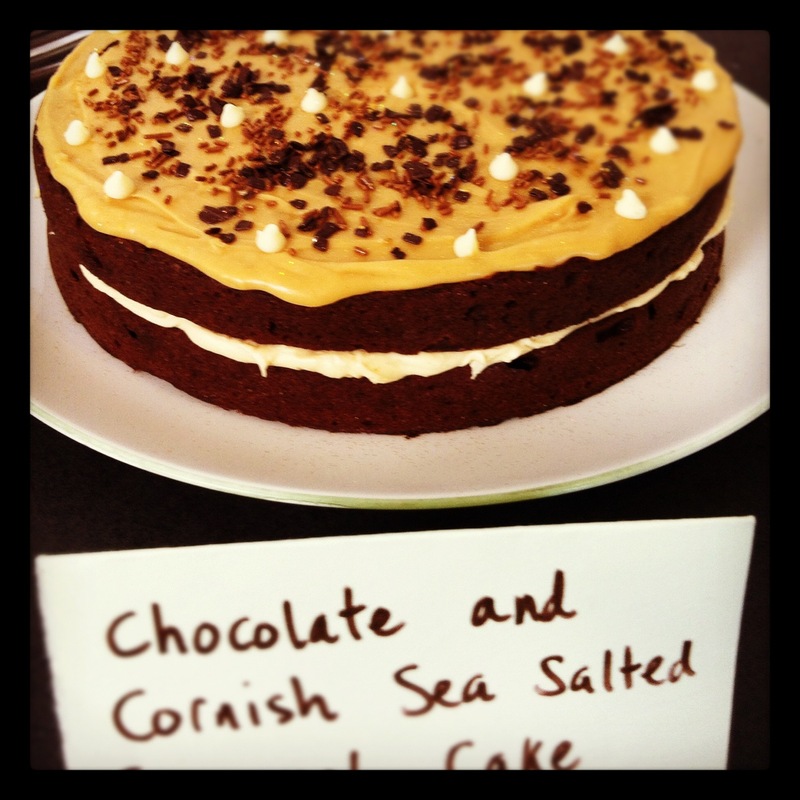 And for that reason, Sarah baked our debut offering for the Clandestine Cake Club. 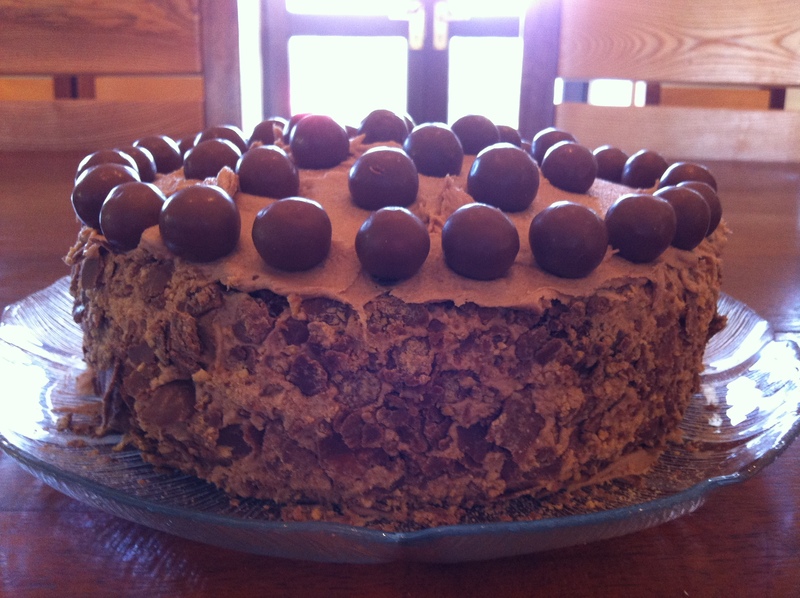 We had only decided to attend the evening before during a beach walk, so after a quick Nigella googling and a dash to tesco she knocked up a malteser cake with horlicks in both sponge and icing, and a healthy adorning of those addictive malty marbles. As we drove to the Watergate Bay Hotel the following morning, I stared at our effort filled with trepidation, not knowing what to expect and slightly fearful we would be the laughing-stock of this covert group! 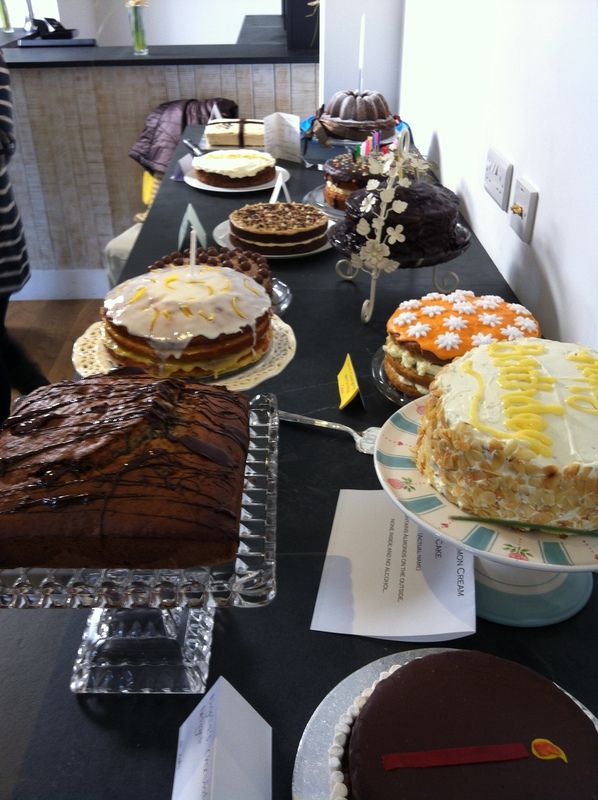 But as it happens, as long as there’s loads of cake no-one gives a stuff if a few are duds!!! 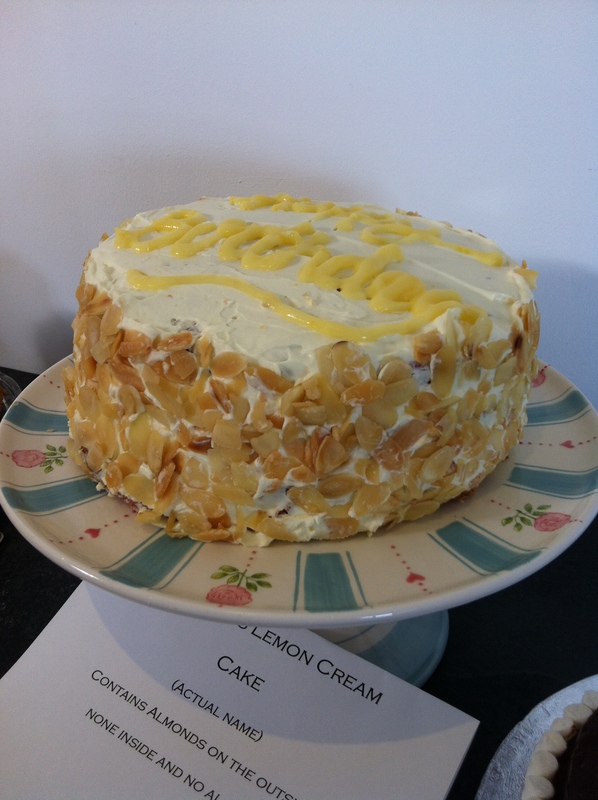 The theme of this meeting was celebration cakes in honour of the Cornish arm of the club’s first anniversary. 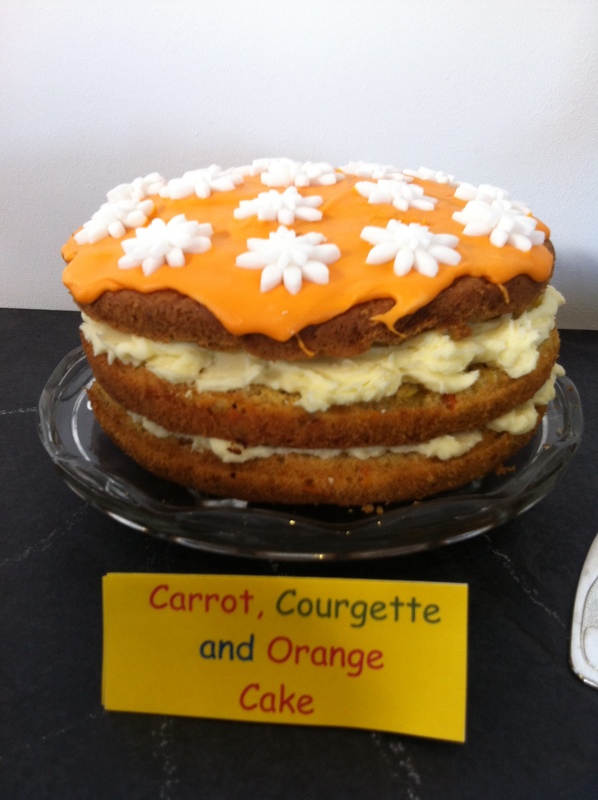 The only rule is your cake has to be a big, 12 portion cake – no tarts or pies, just a proper, whole cake. And they included 2 lemon cakes; one light and fluffy, layered up with a chiffon cream and coated in toasted almond flakes – the other sticky and dense with lemon curd. 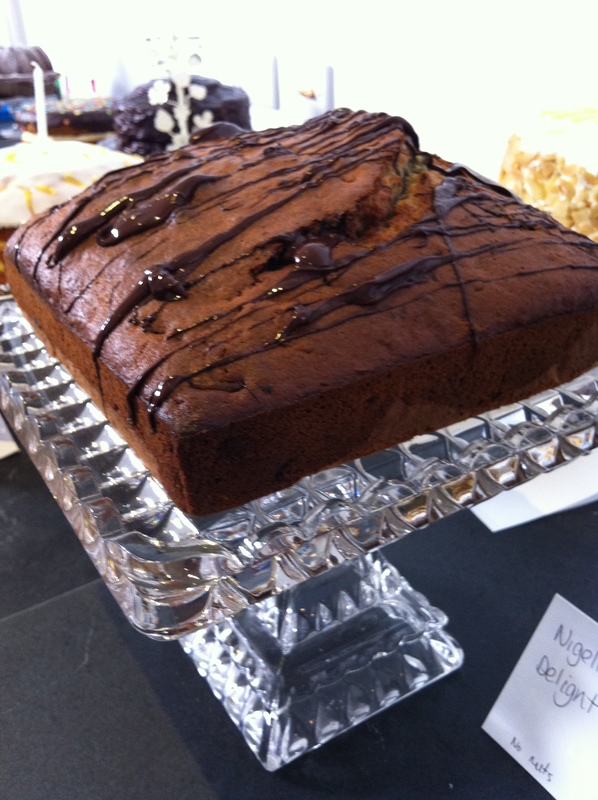 There were several versions of carrot / orange / courgette, and a fantastic, chewy apple cake with a soft caramel icing; a gluten-free chocolate and orange cake covered in multi-coloured sprinkles and topped with a musical candle; a gorgeous gooey banana loaf with huge chocolate chunks and a sticky chocolate drizzle; and even a ‘healthy’ courgette, sweet potato and orange cake sweetened with honey. So anyway, once you’ve joined your local club and have been given the secret details of the next meet, you basically just bake a cake, turn up and stuff your face! A bloody marvellous idea! The Cornwall branch try to hold an event every 4 to 6 weeks and the location is different each time, using venues throughout the West of the County. I’ve just signed up to the Oxfordshire Club using the CCC website and can’t wait for details of the next gathering, although I’m not yet sure who I’ll get to bake my cake for me! Five layer lemon chiffon cake. Divine! I ate so much cake I felt sick for several hours afterwards! Brilliant idea though & such a lovely group of people. Think the next one’s full already, but I’ll be going in the new year!